Code Basin & Pedestal - Only £42.99! In stock now for just £42.99 including VAT! Hurry while stocks last! 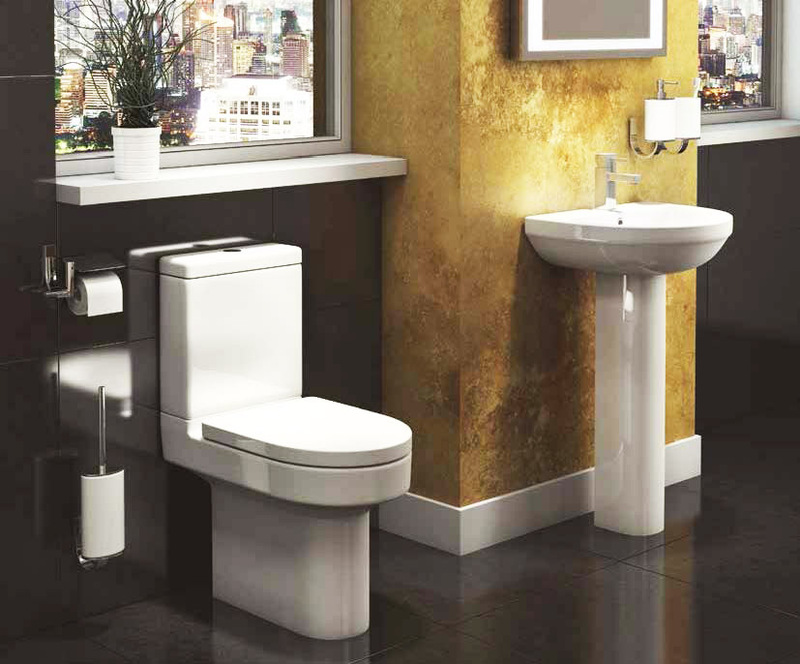 Add a stylish new look to your bathroom with the new Code Basin & Pedestal from VIP. This sublime new modern basin has beautiful curves contrasting with stark, eye-catching lines, making it one of the most desirable on the market today. Unlike many modern style basins which are sculpted from heavy bold cubic shapes, the Code 550mm 1 tap hole basin boasts sleek, smooth curves and stunning rounded edges, making it truly stand out from the crowd. It is manufactured in the highest quality vitreous china to the latest standards, and is available from VIP-Bathrooms.com at an extremely competitive price. A basin with a great deal to offer, this superb new addition to the range is ideal for any home. The Code Basin is sold without the tap shown, which is available as an optional extra. Click here to see our range of stunning taps and mixers.